Despite Robert Frost’s continuing popularity with the public, the poet remains an outsider in the academy, where more ostensibly difficult and innovative poets like T. S. Eliot and Ezra Pound are presented as the great American modernists. 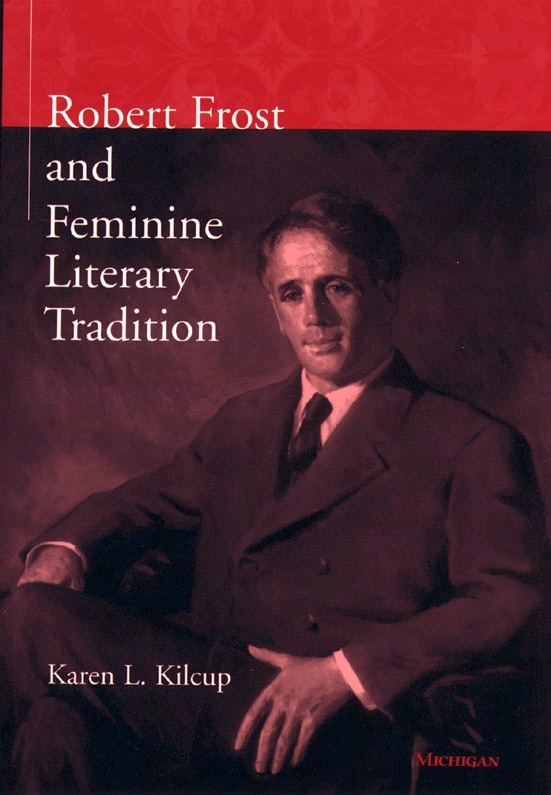 Robert Frost and Feminine Literary Tradition considers the reason for this disparity, exploring the interrelationship between popularity, masculinity, and greatness. Karen Kilcup reveals Frost’s subtle links with earlier feminine traditions like sentimental poetry and New England regionalist fiction, traditions fostered by such well-known women precursors and contemporaries as Lydia Sigourney, Sarah Orne Jewett, and Mary E. Wilkins Freeman. She argues that Frost altered and finally obscured the feminine voices and values that informed his earlier published work, and that to appreciate his achievement fully, we need to recover and acknowledge the power of his affective, emotional voice in counterpoint and collaboration with his more familiar ironic and humorous tones. Robert Frost and Feminine Literary Tradition also explores the links between cultural femininity and homoeroticism in Frost’s work, and investigates the conjunctions and disjunctions between Frost and such modernist women poets as Amy Lowell and Edna St. Vincent Millay. The book contributes to ongoing debates about sentimentalism, regionalism, modernism, and the cultural construction of gender in American literature of the nineteenth and early twentieth centuries. With its interest in popular magazines, folktales, gossip, and children’s literature, the book also engages elements of cultural studies and popular culture. Enabling today’s readers to see the famous poet as unfamiliar, Kilcup foregrounds the powerful “poetics of empathy” that underwrites many of his finest works.